At their annual Media Appreciation Night held at the Volkswagen Bonifacio Global City showroom, the German carmaker outlined their product plans for 2016 after a banner 2015. This includes the introduction of upgrades and enhancements to existing product lines and introduction of sought-after new models. 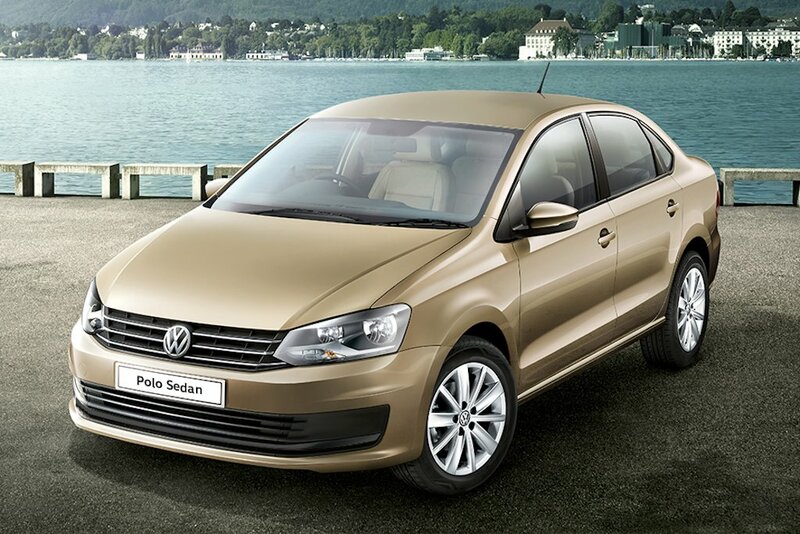 He then took the opportunity to introduce top grade variants of the Jetta, Polo, and Tiguan. The Volkswagen Jetta fits the requirements of upwardly mobile professionals and young executives who require both power and comfort in their daily drives. The top grade Comfortline variant features a 2.0 Turbo Common Rail Direct Injection 4-cylinder diesel engine with a maximum output of 140 horsepower at 4,200 rpm and 320 Nm of torque at 1,750 rpm. This engine is now mated to a 6-speed DSG (Direct Shift Gearbox) dual clutch automatic. Meanwhile, the new petrol Trendline variant packs a 1.4-liter TSI gasoline engine with 160 horsepower at 5,800 rpm and 240 Nm of torque from 1,500 to 4,500 rpm. This variant now has a 7-speed DSG automatic. The 2016 Jetta is now loaded with more safety features such as six airbags, ESP (Electronic Stabilization Program) with Comfort Brake Assistant, ABS, EDL with Anti-Slip Regulation, Hill Hold Control, and cruise control. It equally gets upgraded inside with front and rear armrests, rear air conditioning vents, the “Composition” multimedia system with a 5-inch touchscreen radio with CD, MP3, USB, and Bluetooth functionalities. Outside, the Comfortline rides on “Queensland” 17-inch alloy wheels while the Trendline gets 16-inch “Navara” alloys. Both models also benefit from re-designed bumpers, headlights, front and rear lights. 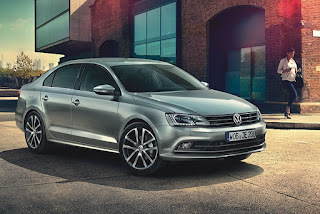 Slotting below the Jetta, the 2016 Polo now comes with 15-inch “Tosa” alloy wheels, chrome on the radiator grille, redesigned bumpers, color-keyed exterior mirrors with turn signals, color-keyed door handles, and new rear combination lamps. 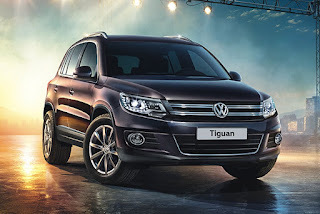 Meanwhile, the Tiguan compact crossover, a strong seller for VW in the Philippines, receives the new Business Edition. This 2.0-liter TDI-equipped model gets “Vienna” leather seats with 12-way electric power adjustment for the driver, safety-optimized front head restraints, and a new RCD510 touchscreen audio with CD, MP3, USB, and auxiliary input. Outside, it gets bi-xenon HID headlamps with LED daytime running lights and headlamp washers, “New York” 18-inch alloy wheels, automatic headlights, and power folding heated exterior mirrors. Capping off the announcements, Chief Operating Adviser Klaus Schadewald announced even more product plans including more variants of the Golf—particularly the Comfortline and Highline variants. 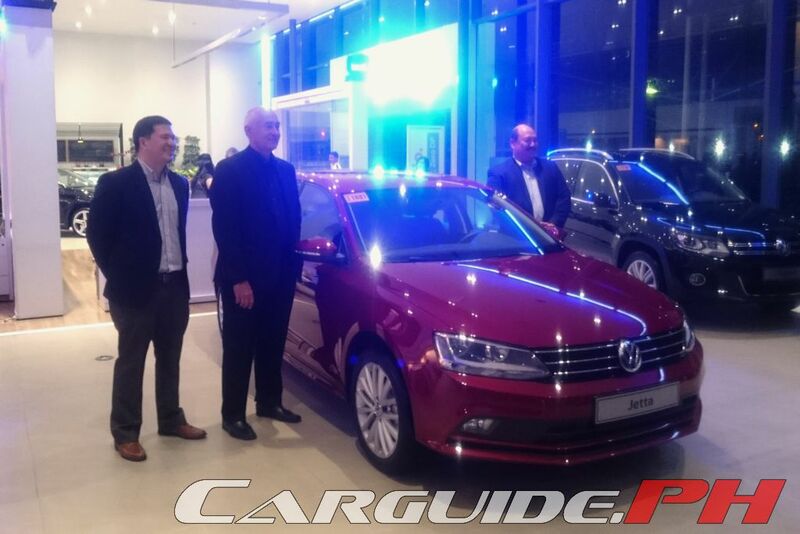 The R badge will also enter the Philippine market first on the Passat and Touareg with other models to follow. 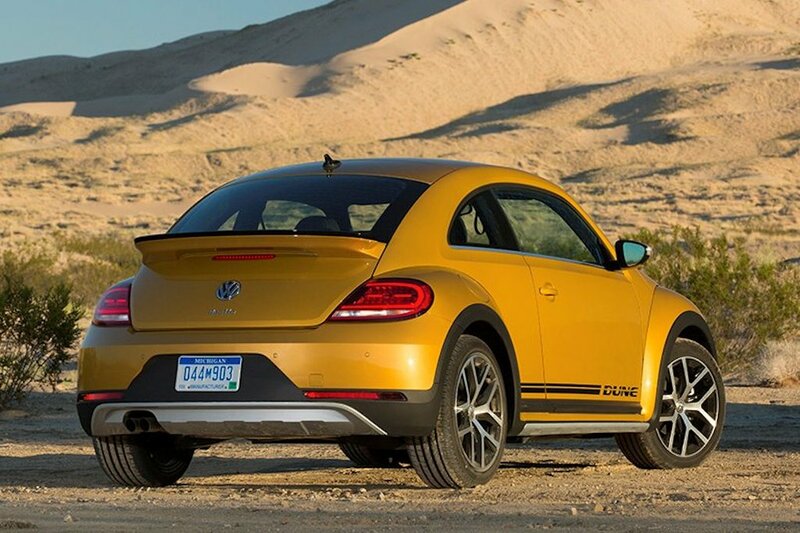 Finally, he teased the media with the return of the iconic Beetle Dune. The Beetle Dune brings a new edge to the heritage-inspired icon. 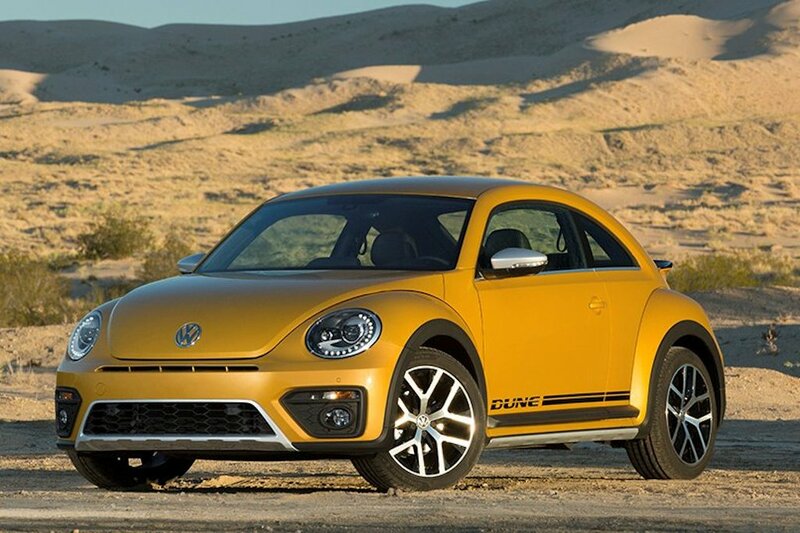 Taking design inspiration from the dune buggy, it brings a tough attitude to the otherwise cutesy Beetle family. It comes with a wider track and raised suspension, new LED tail lamps, and black honeycomb front grille. 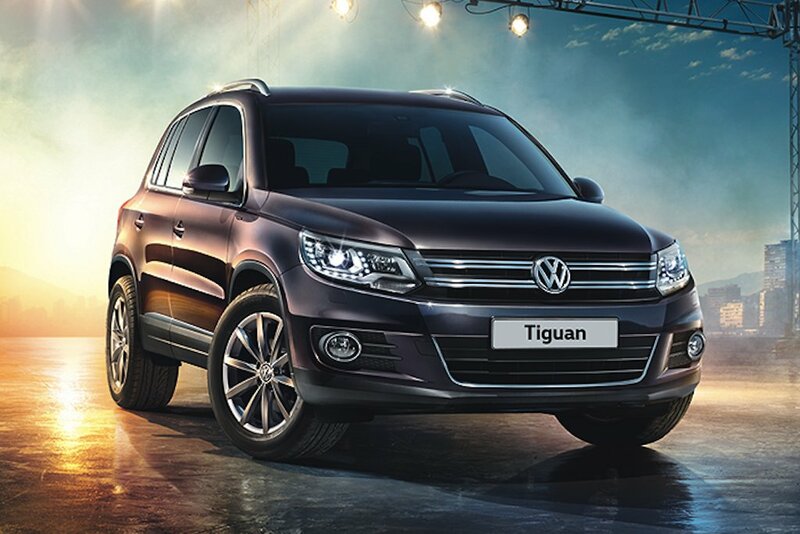 Any news as to when the all-new Tiguan will arrive in our showrooms? They should talk to the government to make a trade agreement with what the Koreans just did to lower the tax on their vehicles thus lowering the pricing. It's not a people's car anymore. A lot of people here would like to try Volkswagen, but the pricing puts them off. Hi ... May I know when might be the Amarok V6 available in the Philippines? This UTE is very tough than the New Ranger/Hilux/Navarra/D-Max. It possible this Amarok V6 will be launching in the Philippines within this year 2017?